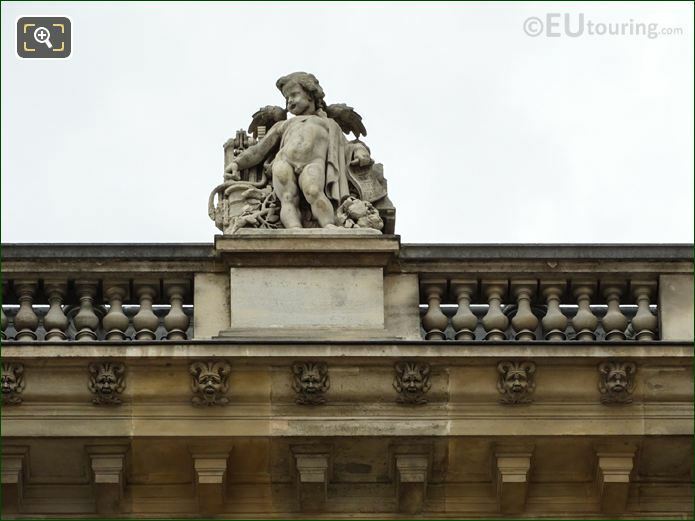 Again we were in the Cour Napoleon of the Musee du Louvre in the 1st Arrondissement of Paris, when we took these high definition photos showing a statue called La Vapeur, which was sculpted by Hubert Lavigne. 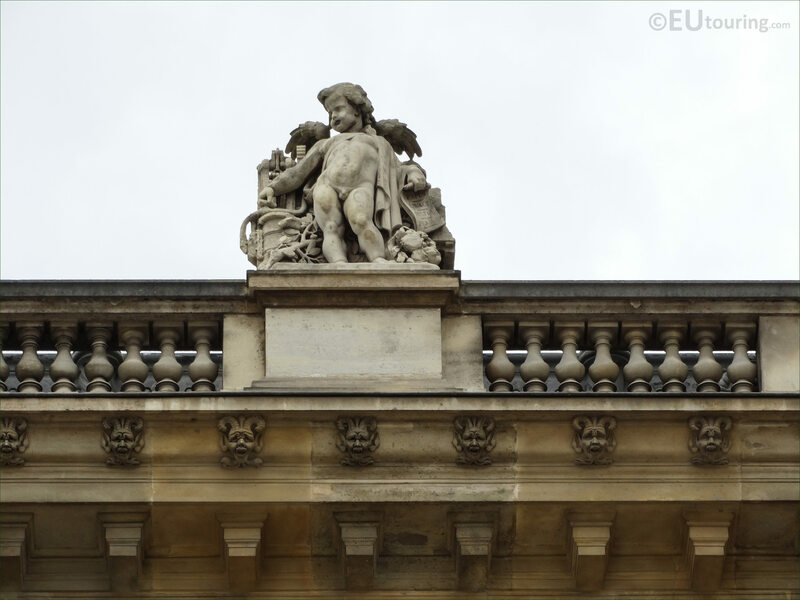 This first HD photo shows the allegorical statue called La Vapeur, which in English translates to Steam, and while in the courtyard called the Cour Napoleon, when you are looking up to the roof line and balustrades of the Aile Daru wing of the former Palais du Louvre, you will see this positioned second from the right hand side. 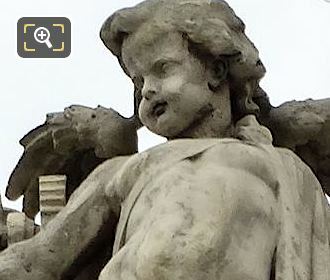 Now this next image shows a close up of La Vapeur statue which depicts a young boy, sometimes referred to as a cherub or a genius, and this has been sculpted in stone with allegory features such as steam machinery and paperwork in held in the boys hand. 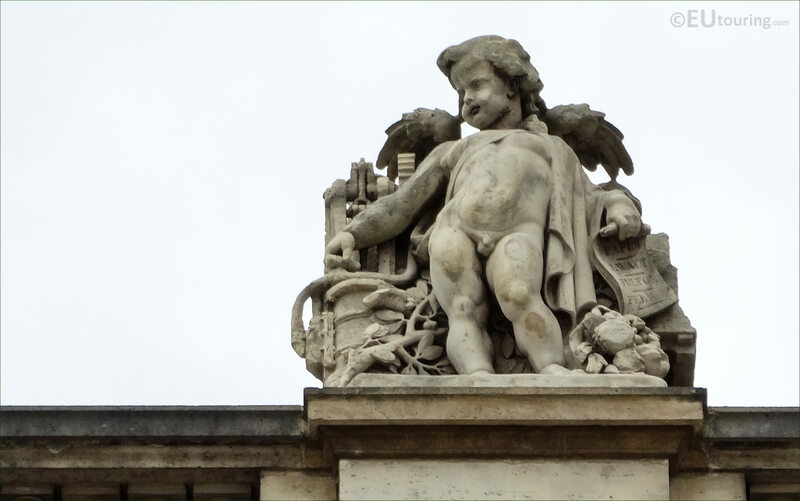 And The Steam was produced by Hubert Lavigne who was born in 1818, and becoming a French sculptor, although very little known, he also received other commissions for the famous tourist attraction of the Musee du Louvre between the years of 1855 and 1857.